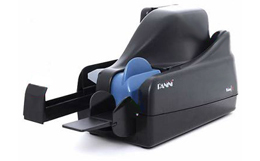 The Panini Vision X® check scanner offers best-in-class reliability and lowest total cost of ownership for distributed check capture based on our core competencies of system scalability, MICR read accuracy, superior image quality, smooth document handling, and professional service, coupled with a modern, ergonomic and accessible design, and quiet operation. The Vision X helps Financial Institutions take full advantage of image based check truncation (Check 21 in the United States) in teller or branch applications, by lowering their operational costs and enhancing the customer experience. It is equally efficient in Remote Deposit Capture applications, and in processing non-check documents such as utility bills, meal vouchers, coupons and more. When you use a digital scanner, you implement a smart, effective solution to process checks, money orders and other important financial documents. From property management to banking to retail stores, check scanners will bring simple, efficient and affordable financial processing to your business. If you’re looking for the best check scanners on the market today, get in touch with Banksystems Marketing. You won’t find better deals on top brand-name scanners anywhere else! Contact our team today. When used for teller image capture (TIC), the Vision X’s vast array of processing features can be further enriched with the addition of the Panini ScanStation and/or our other multi-function hardware modules, which provide a number of complementary functionalities for teller and office use, while preserving ergonomics, footprint and integration. The Vision 1 single feed version is the latest addition to an outstanding product suite: a solid, no-frills, high value model with simplified mechanics, even easier maintenance and increased cost savings, for small volume capture scenarios (such as small business RDC) where legislation, compliance requirements, or the Financial Institution’s preferences impose the use of rear physical item endorsement. 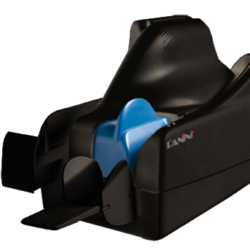 Panini is one of the most popular brands in the check scanner industry, offering scalable check capture platforms. With a complete range of distributed check processing applications including teller capture, branch (back counter) capture, branch transformation, remote deposit capture, lockbox/remittance processing and more, Panini check scanners deliver superior performance in critical areas such as image quality and treatment, MICR reading and document handling. 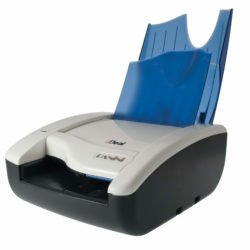 The Panini I:Deal® is one of the company’s most popular check scanners. With it’s simple, easy-to-use single feed, it’s a good combination of affordability and quality in a user-friendly package. The I:Deal provides many benefits to small business users of remote deposit capture (RDC) – not only is it low cost and high-quality – it’s built by one of the most reputable brands in the industry. With its patented technologies, the I:Deal can deliver capabilities essential to RDC success, including but not limited to: dual-sided image capture, document franking and reading technologies of MICR and OCR. The cherry on top? A pocketing capability minimizes paper handling and waste, providing document storage while ensuring transaction sequence integrity. Horizontal single document feed with auto-alignment mechanism. MICRPlus® magnetic reading including OCR correction – bundled with API for MICR read accuracy. Grayscale and bitonal duplex imaging in multiple resolution settings (100, 200, or 300 dpi). 10-document sequential stacking pocket; document may also be returned to feeder via API command – acting as a reject pocket. Unified API (Vision API), in common with other Panini platforms. 50, 75, and 100+ documents per minute (dpm) throughput based on 6” check specification. Automatic document feeder for easy operator use. Single feed versions “Vision X 1F” (upgradable to batch feed) and “Vision 1” (not upgradable) available. Infrared and Ultraviolet front imaging options for security applications. Advanced Graphic Printer model (Vision X AGP) available for rich endorsement (multi-line text up to 4 lines, graphics or intermixed), validation, and cut sheet receipt printing. Two pocket model (Vision X P) available for applications requiring real-time physical document sorting (based on MICR read and/or image contents) – includes AGP printer. Expandable with MFS (Multi-Function System) modules providing additional functionality and compelling benefits for teller applications. Banksystems Marketing also provides everything you need to ensure your Panini check scanner stays in good shape for the long term. From ink cartridges to cleaning kits, swabs, cloths and more, we have what you need to successfully run a batch of checks, every time. Panini is an international leader in check scanning solutions, helping their customers fully achieve the benefits of secure financial technology. It’s their goal to solve a wide range of processing problems that hinder small business in today’s world. From teller capture to remote deposit and back-counter, Panini continues to fix common pain points in the world of financial transactions. Their strong track record and reputable portfolio of check scanning products, known to deliver high performance in the areas of image quality, MICR reading, document handling and printed endorsement, are reasons why they’re one of the industry’s leaders. For over 30 years, the professionals at Banksystems Marketing have been buying, selling, financing and repairing all of the top name-brand check scanners on today’s market. With our wide variety of financial products, including but not limited to check scanners, coin equipment, check joggers, currency readers and table top encoders, we have something for every business. We’ve installed secure payment processing systems at over 2,500 financial institutions around the world – when you choose Banksystems Marketing, you get the most experienced team in the industry. In addition to the products we sell through our online store, we provide fulfillment services to financial institutions requiring a centralized location to oversee their merchant capture deployment needs. Another fun fact: we also developed the ImageStar software as a solution for the financial institutions to become image enabled for Check 21. The Check Clearing for the 21st Century Act (Check 21) is a federal law that is designed to enable banks to handle more checks electronically, which should make check processing faster and more efficient. Based out of Eagan, Minnesota, our team of experts has been an essential component of the check scanning industry for three decades. The members of our senior management and the majority of our employees are long time former NCR and Unisys employees with extensive training on computer and financial equipment. With a wide array of experience using, fixing and optimizing digital financial systems, we’re on-hand to assist you with whatever it you need help with as you choose the right scanner for your needs. For the international leader, choose a team that has solved thousands of complex financial problems – choose Banksystems Marketing. Get in Touch with Banksystems Marketing Today! With the power of Panini digital check scanners behind you, your business can process payments easier, faster and more securely than ever before. When you have the advantage of the most efficient and effective product on the market, you are sure to improve your financial document processing ten times over. BankSystems Marketing Inc. has been selling and servicing check scanners since 1986. 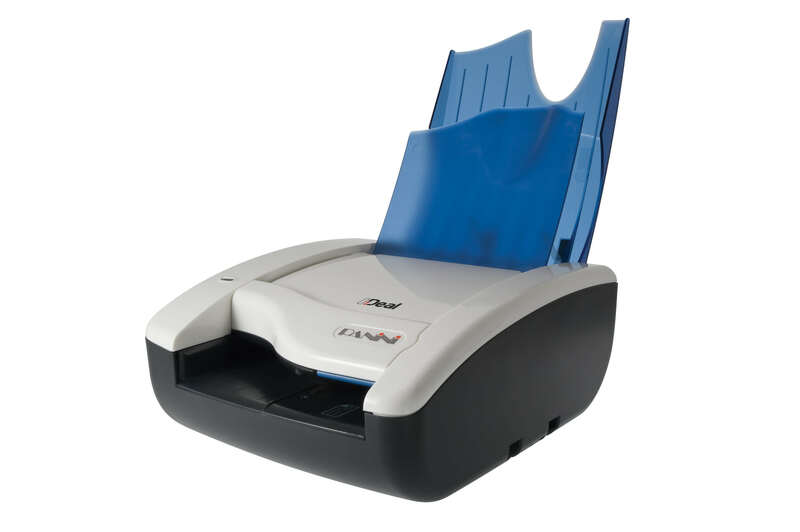 Beyond Panini, we also sell a large selection of products from other leading check scanning companies, including: Digital Check, Panini, NCR, Canon, and Unisys check scanners. Have any questions? Call us 24 hours a day, 7 days a week: 1-866-297-3887.